​The University of Sheffield achieved its best-ever result this year in the Institution of Mechanical Engineers' Formula Student competition, aided by WNT brand tools supplied by Sheffield-based Ceratizit UK & Ireland. 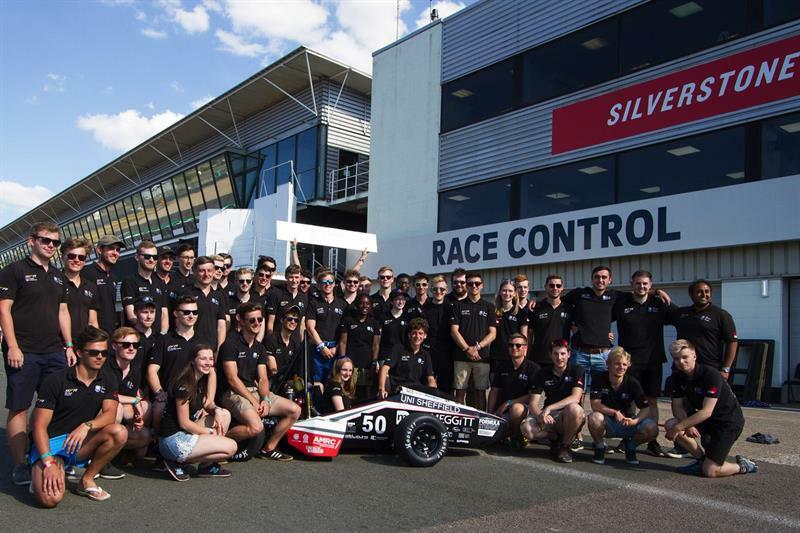 Competing under the name Sheffield Formula racing (SFR) for the past 10 years, it finished as the second highest placed UK team, and fifth overall from a staggering entry list of 81 university teams. Contributing to that achievement was the fact that SFR’s car won the accolade of being the most efficient internal combustion vehicle, in addition to reclaiming for the team the title of the lightest internal combustion engine car in the competition, weighing in at just 158 kg. The University of Sheffield team draws in members from across the Faculty of Engineering, but mainly the Department of Mechanical Engineering. The competition helps develop valuable skills sets for those taking part, including application of engineering analysis and design, teamwork, networking, advanced manufacturing techniques, and business and financial planning. Part of which is working with local suppliers and partners to aid the development of the car.